RISE up your expectations to the finest FULLY CUSTOMIZED TURN-KEY Tower Suite in all of Brickell City Centre! Approximately 12 Feet of floor to ceiling glass, wrap around balconies with money shots of the city and water for miles. 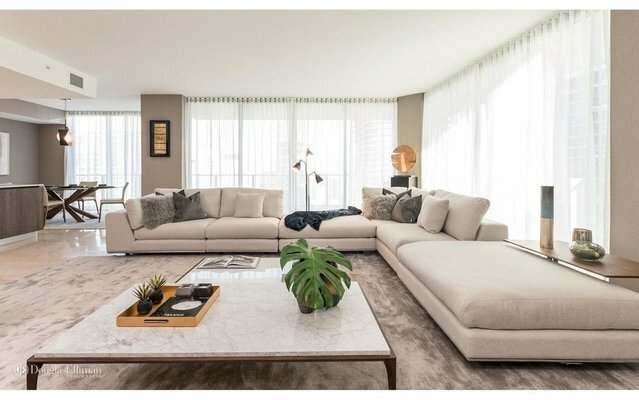 This 4 bedroom /4.5 bathrooms features marble floors, luxury wall-paper walls and built-in Italian cabinetry throughout, oversized walk-in closets, Saccaro / Flou / Cattelan / Arketipo modern furniture along with customized lighting. Amenities include fitness center, full-service spa, tropical gardens along with poolside service, tea-lounge, library, 24 hour concierge and many more. Residence is available for immediate occupancy.